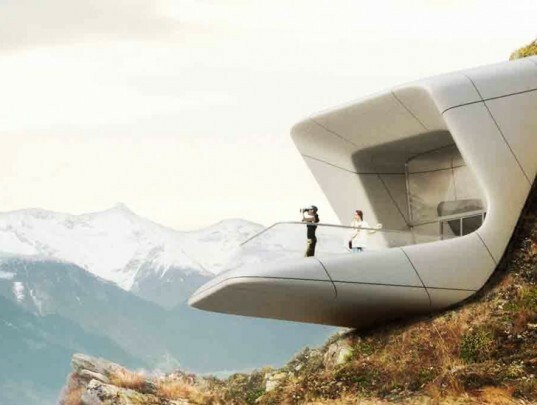 Zaha Hadid Architects recently unveiled finalized designs for the new Messner Mountain Museum, which will be located atop a mountain in South Tyrol, Italy. Reinhold Messner is a champion of mountaineering, and his museum’s sixth and final site will be dedicated to the beauty of mountainous regions around the world. 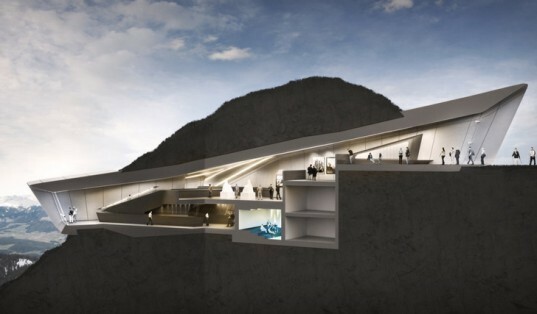 The museum will be constructed through the peak of Mount Kronplatz, and it will serve as a creative tribute to the mountains that Messner loves so dearly. Reinhold Messner is celebrated for making the first solo ascent of Mount Everest without supplemental oxygen, and he has dedicated his life to not only exploring mountains but also protecting them. A large glass canopy marks the entrance to the Messner Mountain Museum Corones, which will rise like the rocks of the mountain. The museum will tunnel through the peak of the mountain, and its exterior composition will mimic the dramatic topography of the Dolomites. The Messner Mountain Museum Corones will be open in the summer of 2014. The building will feature a small gift shop, an entrance hall, a central exhibit space, and amazing panoramic views of the Dolomites. A small cinema along with many support spaces will provide visitors with a deeper connection to the mountaineering that has made Messner so successful. 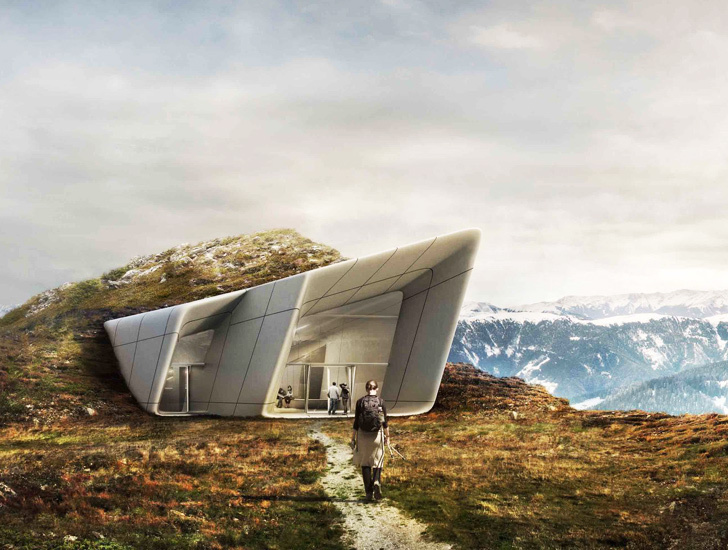 Zaha Hadid Architects recently unveiled finalized designs for the new Messner Mountain Museum, which will be located atop a mountain in South Tyrol, Italy. Reinhold Messner is a champion of mountaineering, and his museum's sixth and final site will be dedicated to the beauty of mountainous regions around the world. The museum will be constructed through the peak of Mount Kronplatz, and it will serve as a creative tribute to the mountains that Messner loves so dearly.